Go to the product that will display the YouTube video. In edit mode, open up the Custom Fields window. Find the “youtube” custom field. 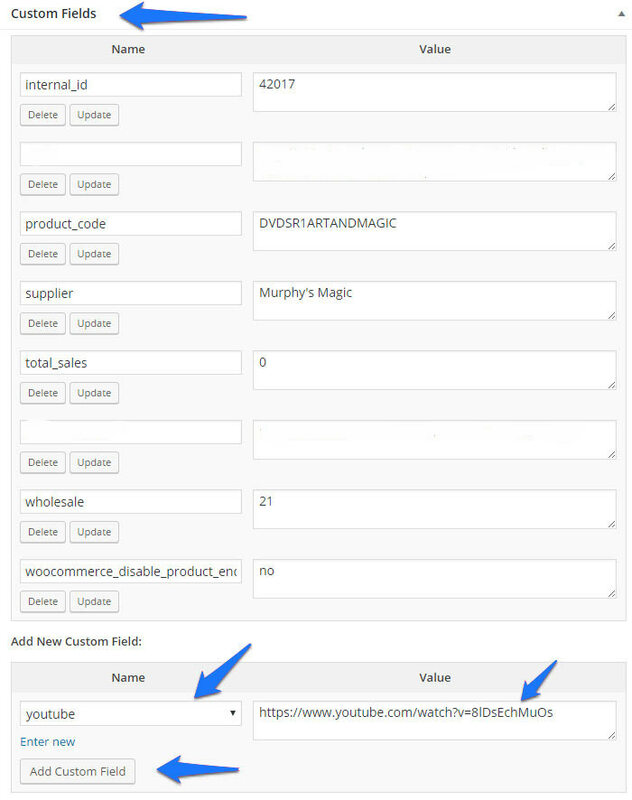 If this field is not displaying click on the “-Select-” dropdown menu under “Add New Custom Field” to find the “youtube” field. 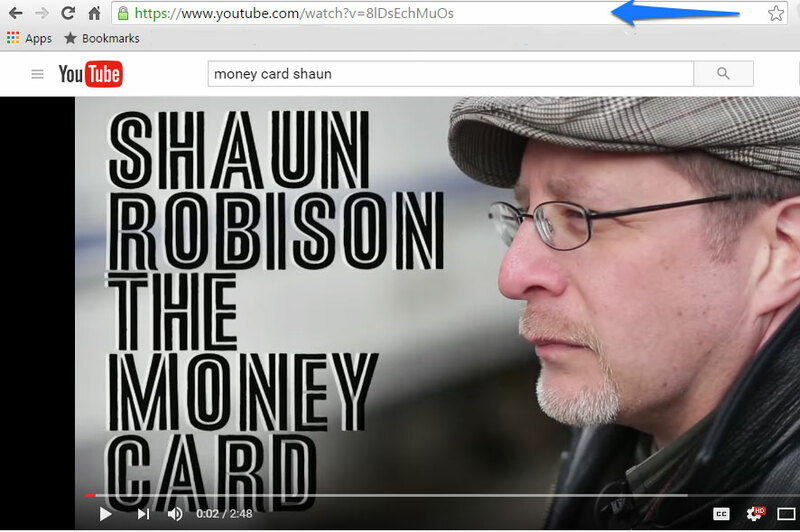 Paste the copied YouTube URL into the Value field, next to youtube. Click on the Update button near the top of the page to save your changes. If you can’t see the Custom Fields box make sure it is set to display. Click on the Screen Options tab in the top right corner of the product page and make sure Custom Fields is toggled on. When you view the page if the video is not displaying, but rather just the YouTube URL, contact us so we can enable the necessary shortcodes.